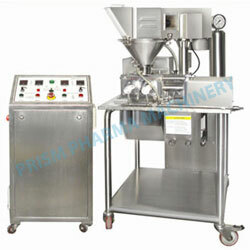 The results obtained can be further improved by production size machine. Compact & portable design allows mobility for testing at a convenient place. Working Capacity 2 to 5 Kgs./Hr. Roller Motor 1.5 HP / 3 Ph. Feeder Motor 1 HP / 3 Ph.